Whether playing his trumpet, recording sixteen Grammy Award-winning albums, or teaching thousands of students each year, no one in this generation has done more than Wynton Marsalis to enhance, elevate, and export our most American of art forms: the music of jazz. As a performer and composer, he joins the pantheon of legendary artists such as Louis Armstrong, Duke Ellington, and George Gershwin. His music, played throughout the world, tells the story of American history--invoking our heroes, our values, and the painful struggles we've endured. His composition Blood on the Fields tells the story of slavery and what it means to be free. It won him a Pulitzer Prize. He has also worked to ensure that jazz's legacy is permanent. Jazz musicians have been playing at Carnegie Hall as guests, since the forties, but always drifted back to smoky clubs and movie soundtracks. Now, thanks to Wynton Marsalis, jazz will always have a permanent home at one of the world's preeminent performing arts venues, Lincoln Center. In addition to composing and performing, Marsalis has made it his mission to turn young musicians on to the joy of jazz, by personally teaching thousands of kids each year. His educational outreach goes even farther through projects such as the award-winning television series, "Marsalis on Music." So he is a hero, not just to those who are touched by his music, but to the next generation of artists he so carefully nurtures. 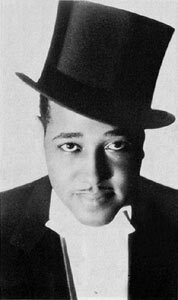 I never had the chance to meet my hero, Edward Kennedy "Duke" Ellington--legendary composer, arranger, bandleader, and pianist. I have, however, played with a lot of people who played with him. One time I asked the tenor sax player Harold Ashby what it was like. By way of response he showed me the schedule from 1970--Duke was 71 years old at that time--and it was insane; he was traveling on tour every day, and composing every night. As a composer he was remarkably prolific—writing more than 2,000 pieces from symphonic suites to some of the most celebrated classic songs. That work effort alone is astounding, but what makes him so inspiring is the way he kept developing creatively decade after decade from the '20s to the '70s. No matter how successful, he never stopped pushing the envelope, never rested on his laurels. He was just as creative in his seventies as he was when he started his first band at the age of 18. 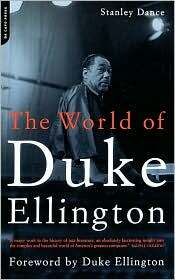 I didn't listen to Duke Ellington's music until I left home in New Orleans for college in New York. I was about 18 or 19 years old, and that’s when I discovered for the first time that jazz could be so sophisticated. Duke's work was an entirely original blend of New Orleans jazz, blues, spirituals, American folk music, and various European forms--a complex brew that was uniquely itself. I was overwhelmed. I started really getting into his music and reading books by and about him, like his autobiography, Music is My Mistress. What came through was his love of life, the depth of his intelligence, his dedication to American music, and his work ethic. He always said the bags under his eyes were the symbols of his virtue: He would stay up all night working on his music. He partied, too; he was justifiably celebrated for that as well. 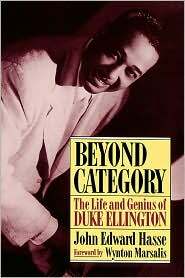 Any time that something is difficult for me, I think about how Duke Ellington continued productivity under all kinds of relentless pressure: The pressure to keep his band on the road, and to keep it together in the late '40s and '50s when swing era big bands were being overshadowed by bebop and rock and roll. The pressure to keep coming up with ideas, to create music all the time. The pressure of dealing with segregation and ignorance. 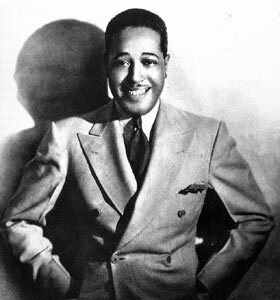 Duke Ellington moved to New York at the start of what is called the Harlem Renaissance. But when he was the featured player at the Cotton Club in Harlem, blacks were only allowed on stage, not in the audience. When he toured, he rented a train with sleepers and dining cars so his musicians wouldn't have to face segregated hotels and restaurants and other incidental forms of social ignorance. His extended pieces from Black Brown and Beige to A Tone Parallel to Harlem were the inspiration for my oratorio about slavery, Blood On The Fields. That piece details in music what I feel it takes to achieve soul: the willingness to address adversity with elegance. That's what Duke did--address adversity with elegance. 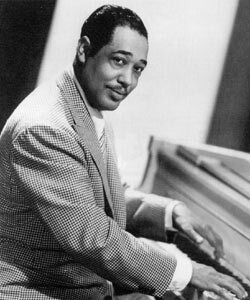 Duke Ellington composed and performed right up until his death in 1974, at the age of 75. He dedicated himself to living a life of music. I knew that I wanted that life when I was 12. (I started playing when I was six, but I didn't start practicing until I was 12!) I was always around musicians; my father Ellis Marsalis is a pianist and music educator. He inspired me to become a musician, and he’s my hero as a teacher. When everyone else was saying don't waste your brain on music, musicians don’t do anything but struggle, and they can't make any money, my father said, "The only advice I can give you is, if you go into music, don't have nothing to fall back on. Because if you have something to fall back on, you'll fall back." From my father and Duke Ellington I learned the value of nonstop learning--I still take the occasional lesson--of practicing, of being a responsible and responsive part of a group, of having a good time, of embracing difficult things. I've won lots of awards, but ceremonial honors, while a lot of fun, aren’t that important to me. I think I won more Grammys and things when I was younger. I really never knew why I was winning them back then. With awards you never know. The greatest reward is all those people who bring their kids to me and wait around for me to give them lessons. That's a true award. Sometimes they bring a pie or some cookies and stuff to say thank you. 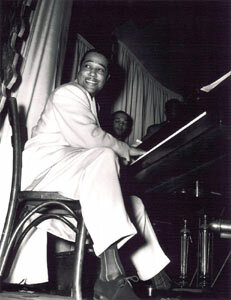 The Duke Ellington Society - is committed to preserving the Duke Ellington legend. MY HERO thanks Wynton Marsalis for contributing this essay to My Hero: Extraordinary People on the Heroes Who Inspire Them.